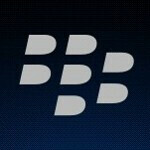 A clever invitation from BlackBerry (see the video below) announces that the new BlackBerry Z10 will be launched in India on February 25th. BlackBerry still has a big following in the country, and the Canadian manufacturer has opened up BlackBerry Stores in India. These openings are so big, Bollywood stars come out to see and be seen. For a big time launch, BlackBerry had to turn to a unique invitation, so it sent out coffee cups with a secret message that could only be seen by pouring in a steaming hot beverage. The information revealed the February 25th launch date for the Z10 in India, although carrier info and pricing will apparently have to wait until we get even closer to the launch than we are now. As well as BlackBerry does in India, the big test will come next month when BlackBerry is expected to release the BlackBerry Z10 in the United States. T-Mobile has made some noise about being first to launch the phone, but right now none of the major carriers has uttered anything close to a set launch date. 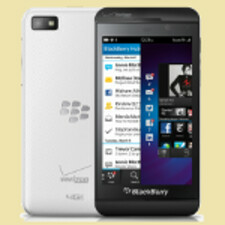 iphone and bb z10 both pieces of crap are for above rs.45000/-(nearly 900 usd)..................who gonna buy them????? Not the poor, that for sure. In India in grey market First few BBZ10 sold for INR 70000+ Now it's selling for 53k and they say prices will fall. That's some BS pre-order price from Mobile Store. Wait till the official prices, BTW PA, here in India, we pay full price for phones right up front and all phones work with all carriers (GSM with GSM and CDMA with CDMA), so there's no such thing such as carrier availability/pricing. ALthough, you can buy a phone from a particular carrier and enjoy it with the carrier's plans. companys are really understanding that india is a huge market..happy about it as i am olso indian. depends on the area u live brother...people are buying "premium tech" an dats why apple has a growth f 400% last quater..
Blackberry z10's price seems way too crazy. I bet Iphones are really expensive in India.